Leyton Orient made it 10 home matches unbeaten after a 4-0 thrashing of promotion hopefuls Sheffield Wednesday. The Owls almost took the lead in the first half when a header from Chris Sedgwick was nodded off the line by Charlie Daniels. But Orient produced a four-goal salvo after the break to completely overwhelm their opponents. 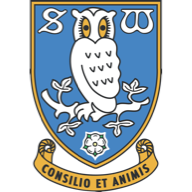 They opened the scoring four minutes after the interval after Gary Teale had been adjudged to have handled a header from Alex Revell and Ben Chorley drilled the spot-kick into the net. They doubled their advantage 10 minutes later when 17-year-old Spurs loanee Harry Kane - making his first senior start - stole in unmarked behind a static defence to tuck in a Dean Cox free-kick. 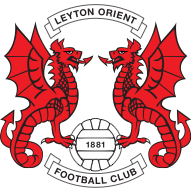 Orient piled on the pressure and two goals in three minutes completely killed off the Owls. After 79 minutes Revell rose unmarked to nod home a Daniels cross before Paul-Jose Mpoku drilled a free-kick from 25 yards past the hapless Wednesday goalkeeper Nicky Weaver.